Blåkläder is now venturing heavily into workwear for tough and hazardous working conditions. In response to market demand, they have targeted more styles, new garment features and extremely durable materials. All the garments are certified to European standards and conform to the same high quality and performance requirements as other workwear collections from Blåkläder. The latest addition is a collection based on inherent flame resistance – Multinorm Lightweight. ‘Dressed, safe and stylish, inside and out’ is the motto, and inherent flame resistant protective clothing means built-in flame resistance, which results in soft and lightweight garments. The new 1514 fabric is a flame-retardant blend of 75% cotton, 24% polyester, 1% antistatic, 350 g/m2 and was selected for its superior combination of strength and comfort. The cotton-rich fabric ensures wearability and maximum protection in one. The 1530 fabric, composed of 55% modacrylic, 43% cotton, 2% antistatic, 300 g/m2, is a strong and durable inherent material, meaning that the flame retardant is built into the fibres. The ma­terial is also laminated for rain and wind protection (EN 343). The garments are lined and have taped seams. The materials used have all been selected specifically to meet the high standards of safety which is placed in the tough environments where welding occurs. 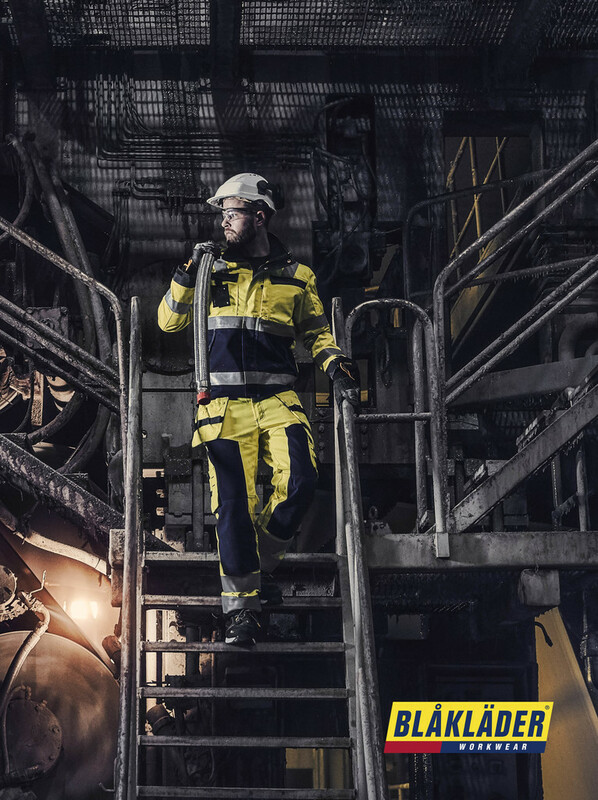 Just because you’re working in an environment that needs maximum protection doesn’t mean that you can’t wear comfortable and durable garments. The new 1516 fabric is a flame-retardant blend of 85% cotton, 14% polyester and 1% antistatic which ensures a cotton-rich fabric that has wearability and maximum protection in one. Contact us to see how we can help your workforce stay safe.